Savings. The primary benefit of multiple domain Web hosting is in the amount of money you can save. Hosting multiple sites on one server is much more economically viable than having a separate hosting plan for each of your online projects. Say, for example, you are in the restaurant business and your group has a few independent bistros throughout the city. Each is an individual eatery and deserves to have the support of its own website. Or maybe you are in the fashion industry and have multiple clothing lines. Then, again, you could be an entrepreneur with your fingers in a lot of different pies. Instead of having to pay for individual plans for each site, you can run all of them under one hosting account. Easy To Manage. 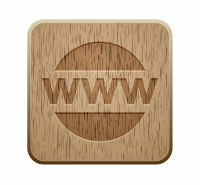 Web hosting multiple domains on one server is much easier than managing sites across different servers. The main reason is that you can create, modify, delete, and redirect all your domains from a single cPanel control panel. Setting up a new domain on your account is a snap, too. After you have your new domain name registered, go to the add-on domains cPanel interface. From there, you’ll enter the new domain name, the subdomain (username for the account), the document root (where the new domain files will be stored), and a password. To make it even easier, cPanel automatically completes the subdomain and document root for you. Once you have the new account set up, you can copy files over from an existing site or you can install a Web app like WordPress, Joomla, or Drupal and start building a site from scratch. Once the site is up and running, you’ll be able to manage it just as you do your other sites through cPanel. There is no added management needed to host multiple sites. You use the same cPanel, hosting provider, and domain registrar. While the benefits can far outweigh the drawbacks, the downsides are not insignificant. Having all of your sites on one server certainly adds convenience. However, if the server crashes or your account is suspended, all your online projects become unavailable. Having your site disappear is one thing, using SEO to get it noticed is another. Crosslinking your sites though the same server will not result in as high a search engine results page (SERP) score as it would were they on separate servers. As your online enterprise grows, find a Web hosting provider that offers multiple domains so you can more easily manage your empire—and save some money, too. Does this article have you eager to learn more about Web hosting, especially about managing multiple domains? If so, you should check out our Web host guide to find the perfect host for your online project. As a senior copywriter at PACIFIC specializing in technology, Tim contributes his industry expertise to Top 10 Best in an effort to help novice Web users optimize their online projects. From hosting concerns to site building issues, Tim explains the behind-the-scenes technology in a way that is easy for the first-time Web builder to understand. Learn tips and tricks for getting a free domain, including how to choose you name, extensions, transfers and much more. Free Domain Transfer Services – Do It Right! A domain transfer isn’t anything like brain surgery – but it does take some research and thought to get it right. Continue reading to learn the best way to do free domain transfer services.